Pelayo was a battleship of the Spanish Navy which served in the Spanish fleet from 1888 to 1925. For many years, she was the only battleship and the most powerful unit of the Spanish Navy. 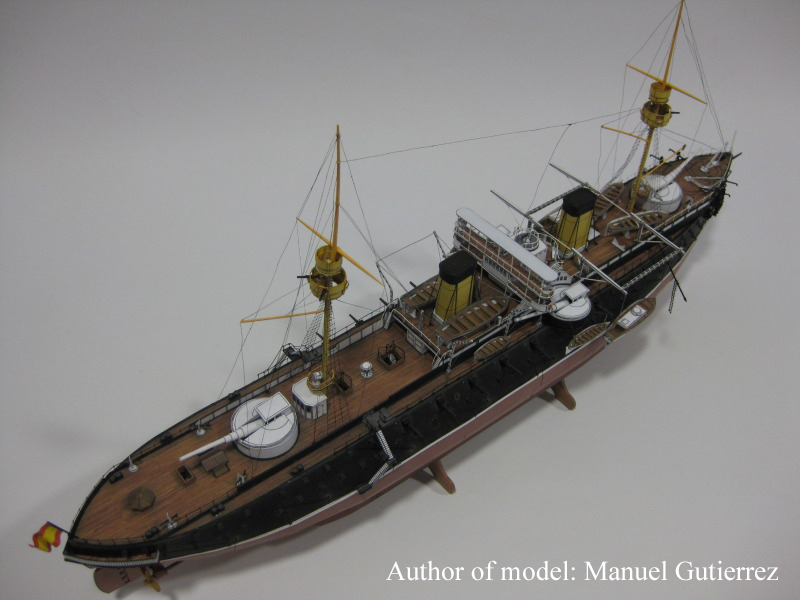 This full-hull paper model of Pelayo in her prime. In 1/200 scale,the model features detailed fittings and deck furniture, a complete complement of ships boats, and detailed gun barbettes and armament. Paper Model Details: 22-page PDF download. One page of ship history, 7 pages of construction diagrams, approx. 818 parts. Degree of Difficulty: 5/5.